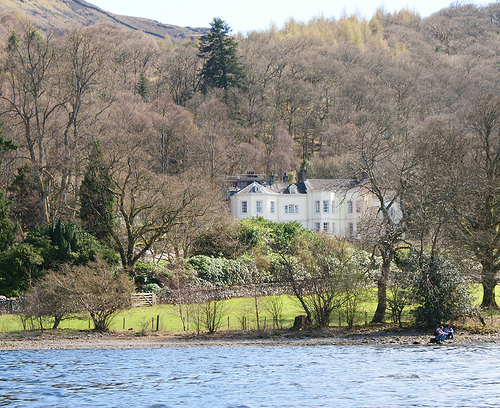 Back in 1932, Bob Graham was a hotel owner who liked walking on the fells around his hotel in the heart of the beautiful English Lake District. 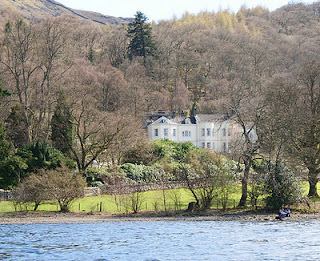 Bob Graham's hotel is now the Derwent Water Youth Hostel in Borrowdale near Keswick. One summer's day Bob set out from his hotel and walked all day and all night to break a record. He covered 72 miles and 42 mountain tops in that twenty four hours as he was 42. This walk has become known as the Bob Graham Round. Many English Fellrunners now consider the Bob Graham Round to be the ultimate distance challenge that everyone needs to have a go at. And now even the new breed of Ultra Runner is starting to claim the Bob Graham Round as a challenge..
42 mountain tops in twenty four hours. it's roughly 72 miles and involves 27,000ft of ascent. It can be done at any time of the year but most like to have a go in the May/June months as these have the longest daylight hours (more than 16 hours of daylight on the longest day) but having a go in the winter is a different matter. 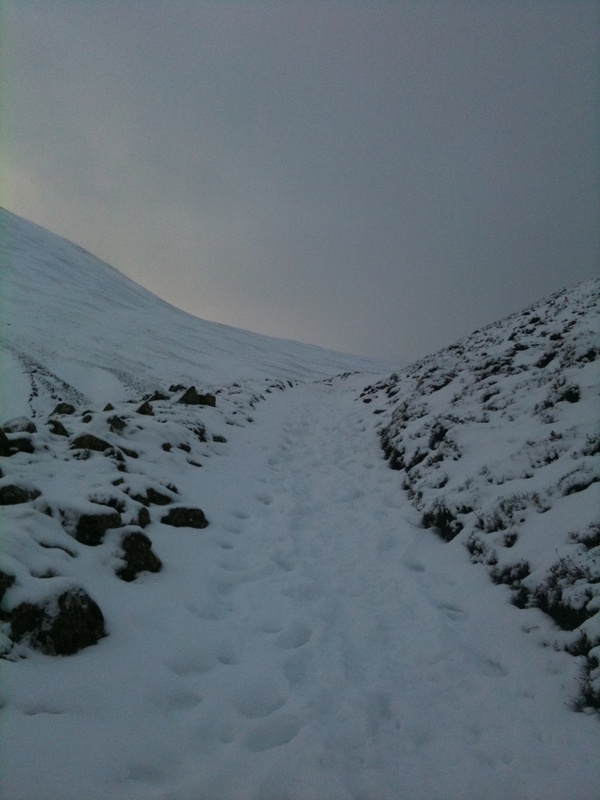 There are only 7 and a quarter hours of daylight on the shortest day (21 December) and conditions on the fells can be very difficult. The record for a summer 'Bob Graham' or 'BG' is 13 hours and 53 minutes (by the great Borrowdale runner Billy Bland in the 1980s). The record for a Winter Solstice BG (accepted as two weeks either side of 21 December) is 22 hours and 8 minutes. 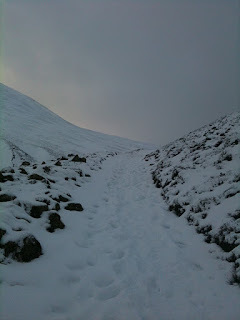 Conditions in the Lake District on Saturday were quite wintery. These timings are for a 23 hour completion setting off at 3am.